Looking for ways to build the LEGO theme into all of the festivities for your child’s Best LEGO Birthday Party? Here are some suggestions—fun, easy and affordable ideas from creative moms like you. 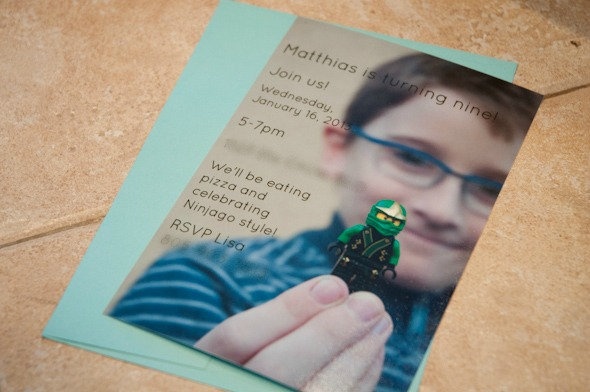 First things first; let’s talk about INVITATIONS. Carolyn of Silly Happy Sweet is a fabulous resource. If you’re passionate about photography, take a picture of the birthday kiddo holding a favorite LEGO mini-fig or personal LEGO creation. Then add text with details about the party. We love this invitation designed by Lisa Leonard. … and this one from Heather of Cookie Mondays. If you prefer invitations without a photograph, there’s a large selection on Etsy including this cheerful card from River Bound. 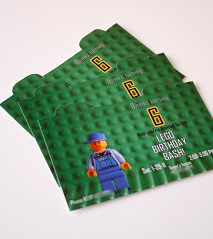 Delia of Delia Creates shares for personal use her template of a LEGO working guy in front of a green baseplate– perfect for LEGO birthday party invitations and decorations. 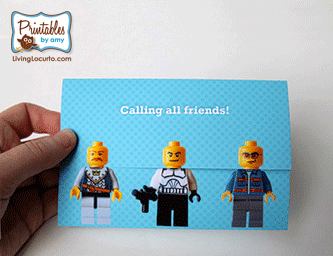 Printables by Amy offers downloadable LEGO tri-fold invitations with editable text fields. Birthday party decorations are the subject of our next post. 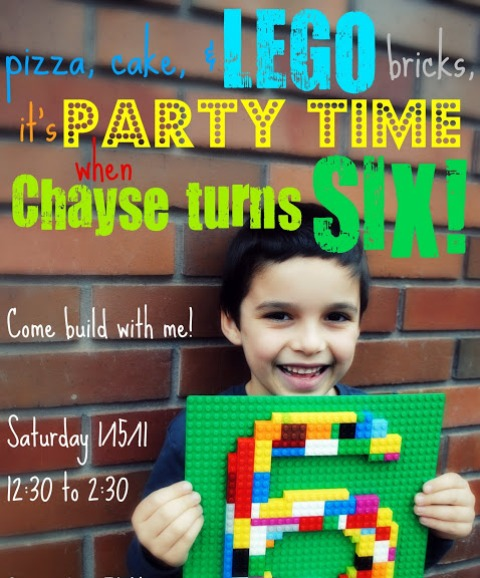 Come back soon for ideas on how to create a fun environment for your child’s Best LEGO Birthday Party. And of course, if you want an entire LEGO party, complete with all the LEGOs, games, and equipment, check out our site: Playparty.net.